Billy finally gets out from behind the piano in the music video for "Big Shot." ​© 1978, 2011 Sony Music Entertainment. 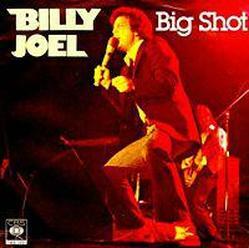 Billy starts out 52nd Street with one of his hardest rocking songs to date, the blistering "Big Shot." Billy sounds a bit like Mick Jagger in this one, and the story is that he wrote the song about Mick's then wife, Bianca Jagger (though in earlier interviews Billy had said it was about himself, which made no sense in light of the reference to "Halston dress" but it was perhaps an attempt to deflect the true story). Apparently, Mick had been complaining about Bianca to Billy, and it became the inspiration for the song. Or, the story is that Billy had a dinner with the couple, and later wrote a song that Mick should sing to her. If you notice in the video, Billy strikes a classic Mick Jagger pose at 1:27. Bianca Jagger rides in on a white horse at her birthday party at Studio 54 (May 1977). Poor horse. Inspiration for the song? Photo by Rose Hartman/Getty Images. The "big shot" in the song cavorts around New York as if she owns it and as if everyone cares. They don't. But she is oblivious to the fact that there is a price to pay for acting like a prima donna. Billy has called it a "hangover" song. "Big Shot" was a big hit for Billy and became a staple of his live show when he'd somersault or jump off the piano, but it's not always in his current live set anymore. Too bad, even without the somersault, it's an energetic crowd-pleaser. The song reached #14 on the charts in the U.S.
Billy and The Lords of 52nd Street. Because you had to be a big shot, didn't ya? Oh oh whoa whoa oh . . .
Big shot . 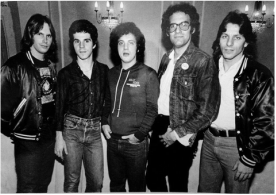 . .
As with some other songs from 52nd Street, Billy recorded a music video for "Big Shot" which features him performing the song live. It's fun to watch both Billy and drummer Liberty Devitto in this video, they really get into it and ham it up, and Billy finally comes out from behind the piano. The videos were relatively rudimentary, mostly simple performances with some creative moments. When Billy's two-part Video Albums were released in 1986, a new video (see below) for "Big Shot" was recorded which spliced in scenes featuring an actress (Australian comedian Pamela Stephenson of Saturday Night Live) acting out scenes from the song in addition to Billy's original video performance. In 2013, Brandon Urie of Panic From the Disco did a solid cover of "Big Shot" at the Kennedy Center Honors ceremony honoring Billy and others. See video. Billy seemed to enjoy it. Don Henley, Garth Brooks, Rufus Wainwright and also sang covers of Billy's songs at the ceremony. ​ The Beastie Boys have covered "Big Shot" live in their concerts, click here to listen. Mike D of the Beastie Boys wrote a funny article explaining why Billy Joel is the "fifth Beastie Boy." Give it up for Mr. Billy Joel, indeed. Scenes from the "Big Shot" video. 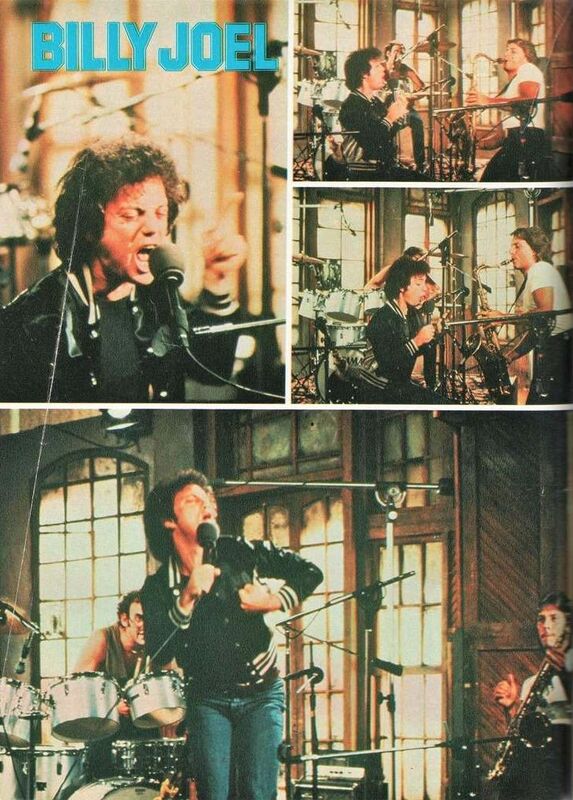 Alternative video for "Big Shot" with scenes featuring Pamela Stephenson, which was created in 1986 for the Billy Joel Video Albums. Billy reveals what inspired him to write "Big Shot." © 2013 Columbia Records, a division of Sony Music Entertainment. Demo version of "Big Shot" without the guitar riffs. Fun live performance from 2006 (pro shot). This was part of the 12 Gardens concerts, but never officially released.